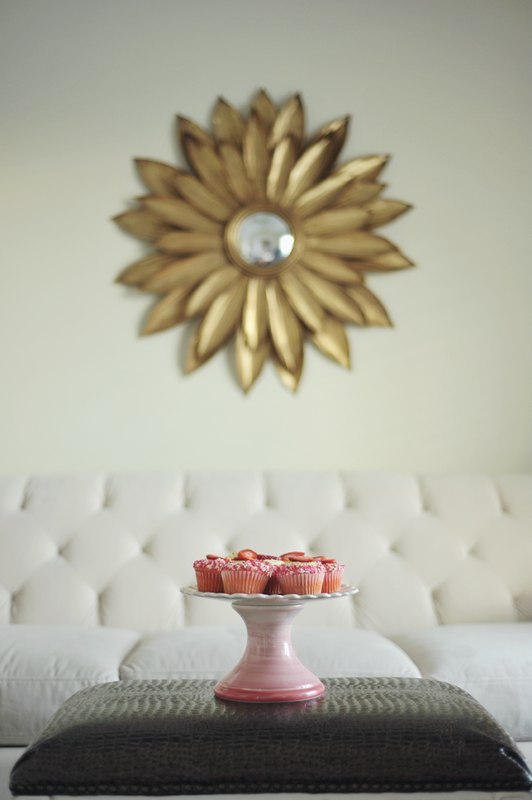 Rebekah Westover Photography: Hello Cupcake! Frost cupcakes when they have completely cooled. 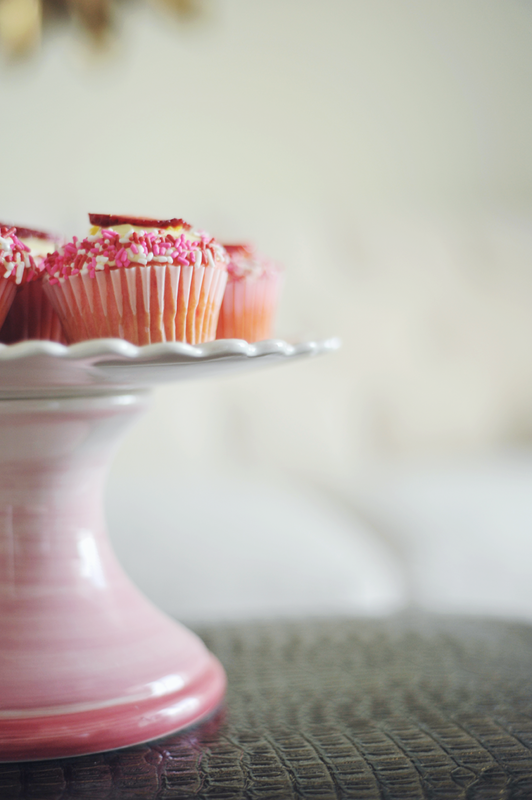 Roll edges of cupcake in pink and red sprinkles. 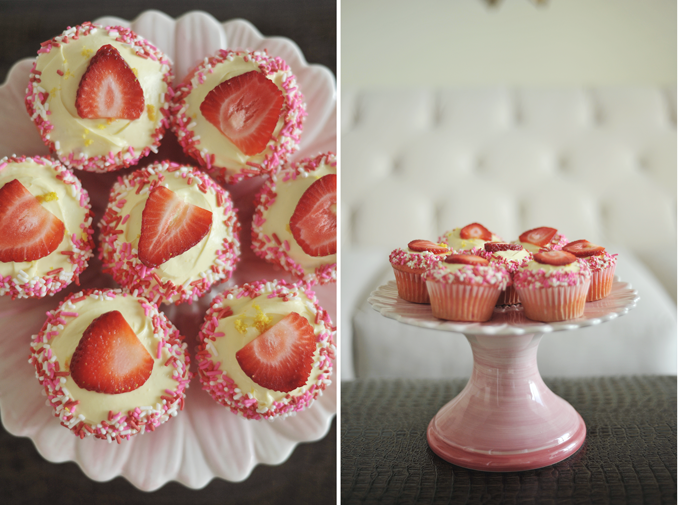 Decorate with a fresh sliced strawberry on top.